November 28, 2018 By Chelsea T.
Chamber of Horrors in Hauppauge will be opening their doors on December 8th & 9th for some scary-good holiday fun. 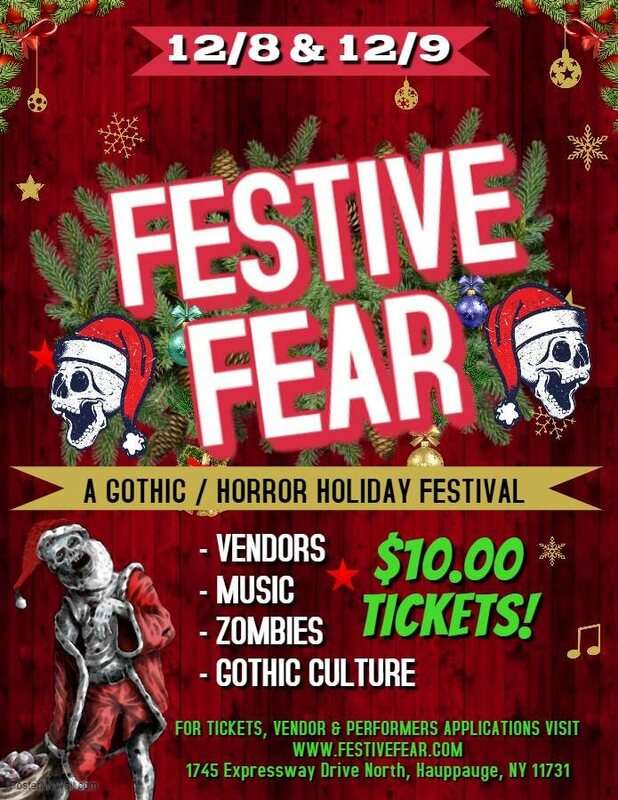 The 'Festive Fear' Gothic/Horror Holiday Festival will give locals a chance to enjoy some spooky spirit - even during the holidays! The festival will feature a number of vendors, music, Gothic culture... and of course, some zombies. Tickets for the two-day event are just $10 per person, and the crew at Chamber of Horrors is currently taking applications for vendors and performers for those interested. Click here to purchase your tickets today! Founded in 2004, LIHauntedHouses.com is a simple and unique online haunted event & attraction resource created to make it easy for locals to find Haunted House, Spook Walk, Corn Maze, and other Halloween Attractions in their local area.